Blog — Got The Blues! 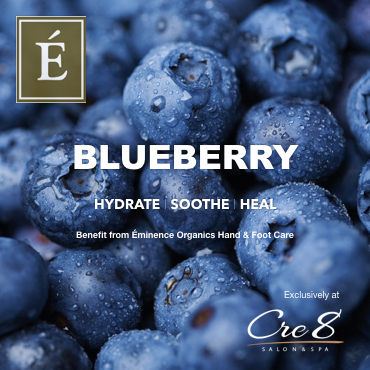 Plump and soothe tired skin with the antioxidant healing power of this blueberry soy sugar scrub & masque made from pureed whole blueberries, wholesome non-GMO soy yogurt and an active combination of vitamins A, C, E, coenzyme Q10, plus evening primrose oil. Soothe with natural healing of the Blueberry Shimmer Lotion leaving skin looking years younger with a subtle glow.